Send our 1-click, branded email staff surveys each month. Get high response rates and trackable, actionable feedback. Employees click or tap a single response. Their response is immediately recorded. Allow them to leave an optional comment on your customized landing pages. This is your real time reporting dashboard. View your identifiable responses with our industry leading response rates. The staff satisfaction survey your staff will love responding to. So simple and quick, you can use it more regularly. Don’t waste your staff’s time with long surveys. With Customer Thermometer, your staff member just clicks a single icon from within an email. They let you know how they are feeling. They then get back to what they were doing. You can now regularly check the pulse of your entire staff. They want to give you feedback – on their workplace, their boss, the facilities. But the annual survey doesn’t pick up issues throughout the year. A simple mechanism to help your staff to help you. We will integrate with your HR or CRM system too. The annual staff satisfaction survey doesn’t uncover and fix employee issues. Try the micro-survey concept – it works. Find out why our service is changing the game by sending yourself a Thermometer survey right now. Click here to see their testimonials. 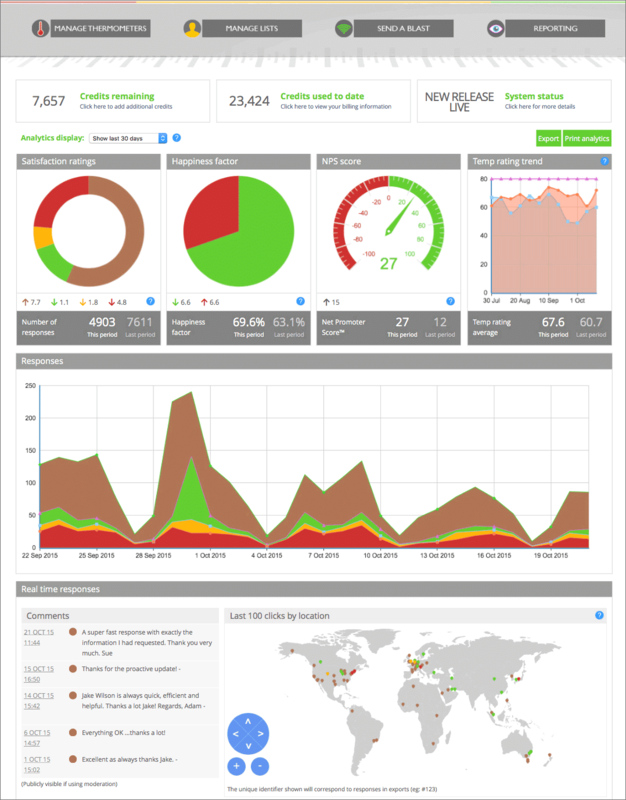 A dashboard of real time, global, trackable staff feedback. All delivered by Customer Thermometer. Watch responses come in – in real time. See spikes and changes on your real time graph across the business. 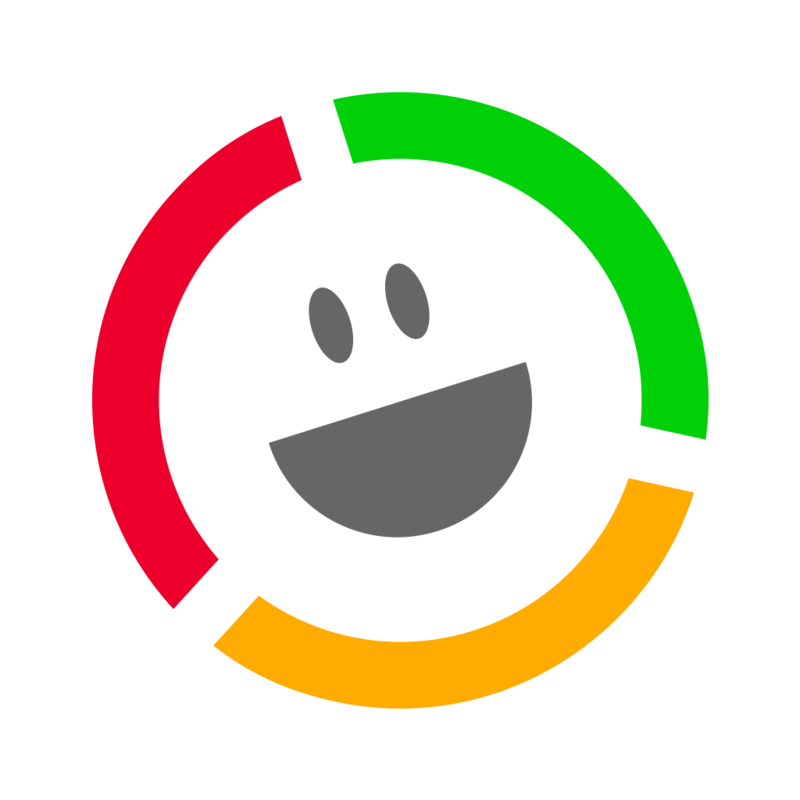 Our reporting measures your Staff Happiness Factor. Are your teams delighted and motivated, or struggling and thinking of moving on? Your colors, your brand, your tone of voice. Our staff satisfaction survey tracks trends across cities, regions and the world. The staff satisfaction survey for today’s workforce. Just an email address and password are needed – nothing else. Our trial account is fully loaded. Get all the enterprise features from the beginning. You’ll get awesome feedback and comments – be prepared!